Bicester Heritage centre is now almost to capacity with companies specialising in classic car restoration and sales. Merry Printers are delighted to have worked with Tiggy Atkinson and the estate management team from the early days of their development of this unique 1923 RAF Bomber air base. 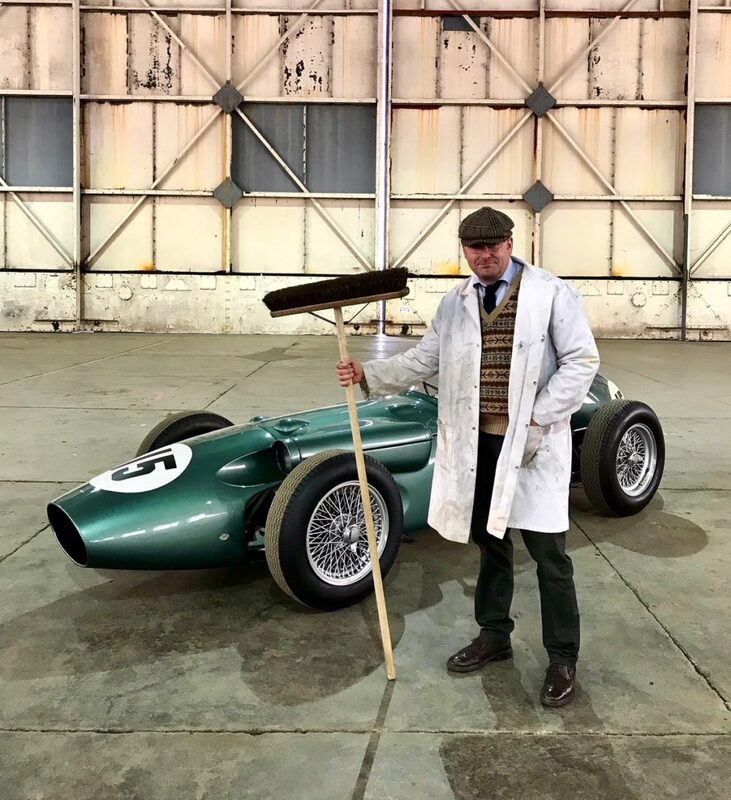 Last month Simon Diffey delivered brochures and stickers to Bicester Heritage’s Pendine and assisted in the making of a promotional film for their Aston Martin DB4R. "Some say he sweeps like the wind, others say he smells of wind. All we know is he’s called The Janitor…"